Programming is still a young enough field that what you need to know keeps expanding and shifting. After all, the languages people thought up ten years ago are hardly up to the challenge of dealing with today’s problems. That does make it hard to stay relevant. At the same time, it means that if you’re willing to put in the effort to learn what’s necessary, you’re going to have a big advantage over the competition. Here we’ll cover some of the biggest and best languages of 2018 so that you can be sure you’ve got them down or you can start working on them if you don’t. This object-oriented, general purpose language might be a bit on the old side but, like a fine wine, has aged very well indeed. It’s very effective to program with and can let you build basic apps in under ten minutes, once you know your way around. It is so popular, in fact, that some of the biggest names in apps use it – including Airbnb, Pxlr, Bloomberg and Flash Essay. Another big advantage it has is that it reads like English, which means its easy to understand even to those new to the language. Work with Apple or plan to do so in the future? Then you’re going to have to learn Swift. This high-level language is easy and fun to use and at the same time does its name justice and is incredibly versatile to boot. This makes it perfect for the apple environment. Native apps in swift have been shown to outperform apps that are cross-platform. This means that you’ll have a serious leg up on anybody that’s trying to create multi-platform apps using only one language. It has a great code editor, which will help point out your mistakes, has automatic reference counting (ARC) and lets you manage an app’s memory usage so that it doesn’t end up consuming too much. This language is big mainly because it’s the go-to language on Wordpress. In total, about 80% of the top 10 million websites use PHP in some way or form. This is mainly down to its flexibility, which allows you to build platforms in many different ways. It’s a great choice in case you want to specialize in web development as it’s mainly a server side scripting language, forming the base of many popular websites out there. It’s useful in many different online capacities, including eCommerce, mobile apps, as well as content management systems. 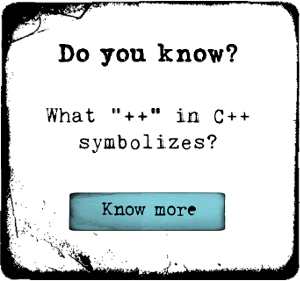 Another language that’s been around for a while, this language was originally developed in 1983 as an alternative to C. It became popular very quickly and it’s easy to understand why. Though it’s older than most, it’s still used by a lot of different companies, including Amazon and Adobe. The reason? It’s dependable. And in some sectors dependability and trustworthiness are paramount. For that reason, a lot of banks, games and telecom providers still rely on this software. Another big reason it’s very popular is that it is very versatile. So, you can use it to build apps or games. In this way, it remains an incredibly valuable language in which you can invest your effort and your time. If you’re trying to find a new language to learn or trying to get into the field to begin with, then these four languages are some of the best choices you can go with. They are versatile and used in a wide range of industries. That means that you’ll be able to find work as well as support when you’re trying to learn the language in the first place. And sure, there are other languages which are being developed and tried out. But those are interesting side projects. The first thing you’ll want to do, however, is get the main ones down. Then it’s always possible to experiment. Wordpress. In total, about 80% of the top 10 million websites use PHP in some way or form. This is mainly down to its flexibility, which allows you to build platforms in many different ways. It’s a great choice in case you want to specialize in web development as it’s mainly a scripting language, forming the base of many popular websites out there. It’s useful in many different online capacities, including eCommerce, mobile apps, as well as content management systems. Laravel 5 vs Laravel 4: Which One To Choose?